We, as artists, often get questions about how we work. Do you have a dedicated space or work at the kitchen table? How are you inspired? Do you work at your craft like any other job... The answers are as varied as the kind of artists out there. 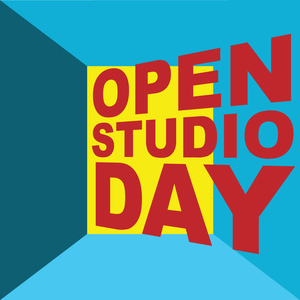 Ridgefield Guild of Artists now gives everyone the chance to get some insight as they present their first ever Open Studio Dayon Saturday, April 22 in and around Ridgefield. Inspired by the Guild’s long collaboration with the Ridgefield Library and the ARTalk Lecture Series’ final presenter of the year, Joe Fig, artist and author of Inside the Painter’s Studio, and now his new book, Inside the Artist’s Studio, the Guild is proud to present their Open Studio Day on Saturday, April 22, 10:30-3pm, offering visits to seven local artist’s studios…to get a peek inside and see how they work. Studio artists. Then plan your own route through town as you set out on the self-guided studio tours. Studio hours that day are 11-3pm. Maps and tickets will be available in advance, as well as on Saturday, April 22 at Rockwell (across from the CVS parking lot), next door at William Pitt Sotheby’s, and at the Ridgefield Guild of Artists at 34 Halpin Lane during regular gallery hours (12-4, Wed-Sun) or online at www.rgoa.org. (If you purchase tickets online, they will be available for pick-up at the brunch at the start of the day.) Payment for tickets by cash or check made out to RGOA at Rockwell and William Pitt Sotheby’s. Credit card payments are available at the Guild and through the Guild’s website. The ticket price of $25 admits you to the champagne brunch and all seven studios on the tour, including Tina Cobelle Sturges, Cynthia Mullins, Nancy Moore, Chris Perry, Karen Cipolla, Erin Nazzaro and Kathy Strickland. All participating artists are Guild members and offer up their studios and time to help with this fundraiser. The Guild thanks Rockwell Art and Framing for sponsoring this event. This is a ticketed event. Please visit locales where tickets are available, or go to www.rgoa.org for details and to purchase tickets. If you visit all studios that day, you will be entered into a raffle for a fun “Get Inspired” basket. Artwork is available for purchase at each stop. Ridgefield Guild of Artists is located at 34 Halpin Lane. For more information on this event and all Guild offerings, call 203.438.8863 or visit www.rgoa.org. RGOA is an IRS tax-exempt 501c(3) organization and all contributions are greatly appreciated.